A ready-to-eat salad kit has been recalled in Newfoundland and Labrador, New Brunswick and Ontario due to possible Listeria contamination. 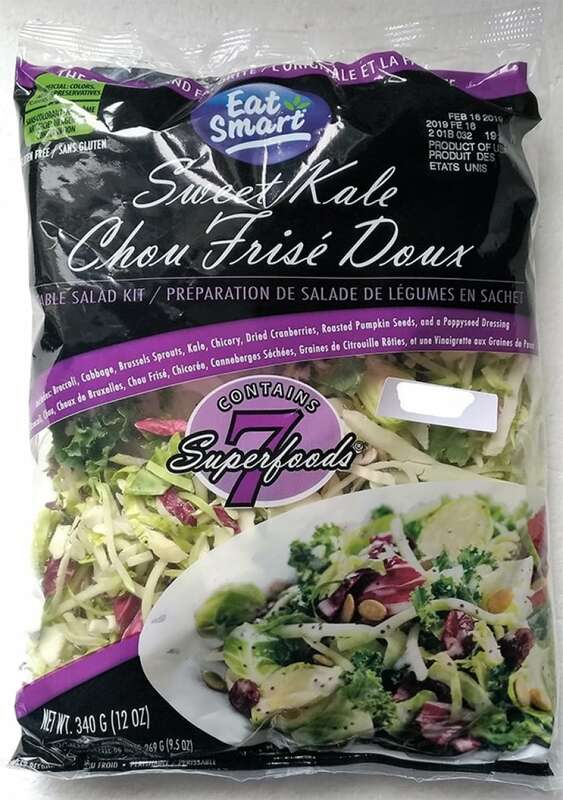 The Canadian Food Inspection Agency issued the recall Sunday for the 340-gram Eat Smart brand Sweet Kale Vegetable Salad Bag Kit. Codes on the products being recalled have UPC 7 09351 89145 8 and best-before dates of Feb. 16. Anyone with the product at home should throw it in the garbage or return it to the store of purchase, the CFIA says on its website. The CFIA website said the distribution may also be national, but the recall notice as of early Monday morning lists just the three provinces. CFIA’s food safety investigation is ongoing, and may lead to other recalls, according to the website. According to the website, there have been no reported illnesses connected with eating this product. Symptoms of Listeria monocytogenes infection can include vomiting, nausea, persistent fever, muscle aches, severe headache and neck stiffness. Food contaminated with Listeria may not look or smell spoiled, but can still make you sick. Pregnant women infected with the bacteria may experience only mild, flu-like symptoms, but the infection could lead to premature delivery, infection of the newborn or stillbirth, CFIA says on its website.